I hope you enjoyed reading about the life-changing phone calls Kwame Alexander, Jacqueline Woodson and Cece Bell received on February 2. This behind-the-scenes information makes my booktalks and presentations more interesting and unique. 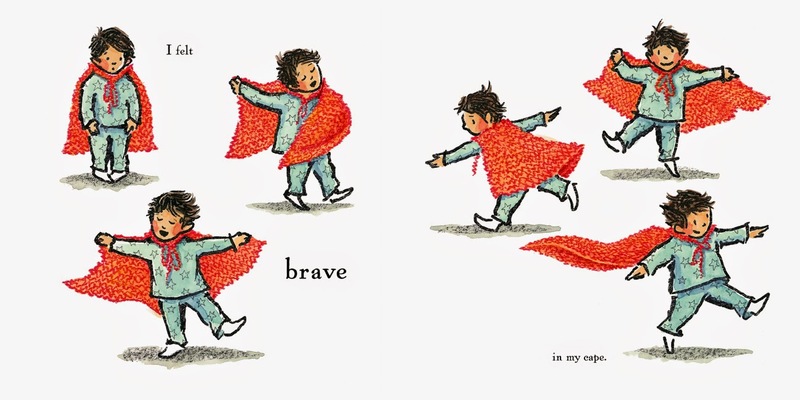 I thought it would be fun to check in with this year's Caldecott winners. I cannot guarantee every illustrator will agree to an interview, but I hope to hear a YES from most of them. 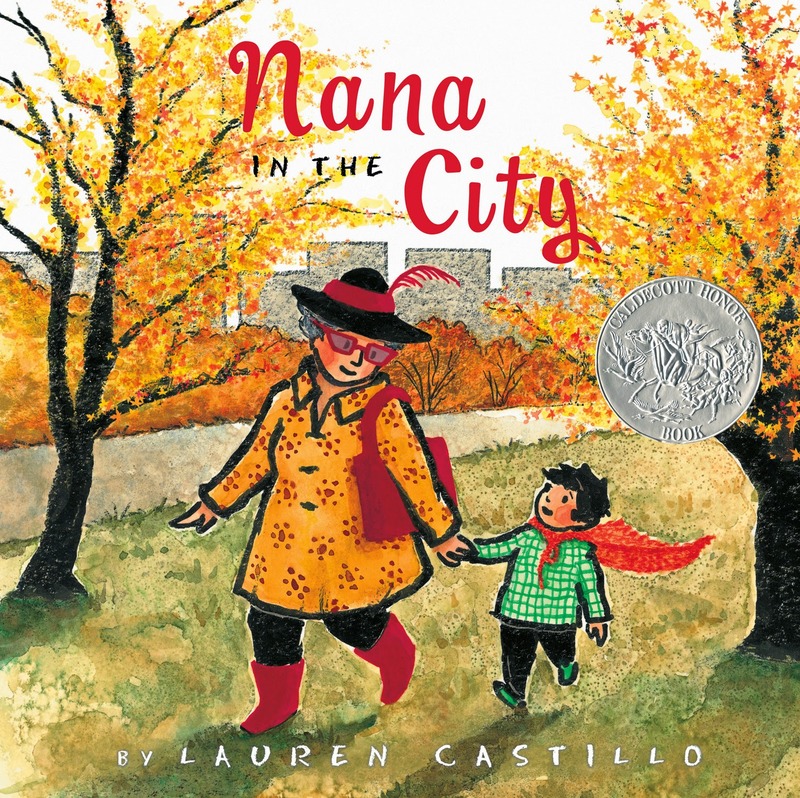 Today's special guest is Lauren Castillo, the recipient of a Caldecott Honor for Nana in the City. What ran through your head when the phone rang? What were you thinking when the Caldecott committee was clapping? Lauren Castillo: The phone rang about 4:45 am (PST), and when I saw "unknown" on the screen I jumped up, completely disoriented. Aside from only having three hours of sleep, I was in a brand new, unfamiliar apartment. I'd just moved in the day before. My first thought was that it was the landlord with something urgent (my last landlord's number always showed up "unknown"). I picked up and heard a lot of static and loud muffled voices. When they told me that it was the Randolph Caldecott committee and they had some "good news" I completely lost my breath. After they clapped and cheered, I managed to get out a few thank yous, and then, well, I told them to have a great day… Not sure how long I sat there in shock after hanging up the phone. Eventually, when the news began to sink in, things got pretty emotional. It means so much to know that the committee felt my book was worthy of such an incredible honor. I am just so thankful. Now, because of this silver sticker, many more children will experience NANA—Maybe even while sitting on the lap of their own Nana—and that blows me away. This book was written as a tribute to my grandmother, who I traveled to New York to visit during my childhood summers, and to my late editor, Frances Foster, who was like family to me in New York City. Frances gave me my start in publishing, and was a wonderful mentor and friend. I aimed to capture her wise and gentle spirit in the character of Nana, and I am so happy that my special memories of her will continue to live on through this book; this book that will forever be a milestone in my life and career. Reading is transformative, like a nana's red cape. Borrow Nana in the City from your school or public library. Whenever possible, please support independent bookshops. Wow, Lauren, I actually got teary-eyed reading about your grandmother (I also called mine Nanny) and then your editor who passed. I'm thinking she didn't get to see any of Nana :( I'm SO glad you got honored in this way and now I love knowing that it was you at the end of John's Caldecott video here! :D Happy day! Lauren, I am so proud of you! This award goes to someone who is talented, hardworking, and sweet! !